Jet Hand Dryer is the all new stunning performer, it is economical and hard-working washroom hand dryer, provides top airspeed consuming less power. 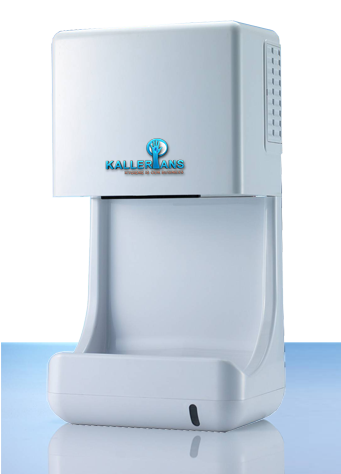 Saves time and money and takes care of the the environment – This eco friendly hand dryer is the best choice for hand drying solution in your office, hotel, restaurant, factory, schools, universities and every bathrooms. Efficiency is the other name for Jet Hand Dryer, the most powerful and efficient hand dryers in the market. Drying time is less than 15 seconds wen compared to 30-40+ seconds for most of the conventional hand dryers. Saves resources more than 90% compared to paper towels. Rated power usage is 1200w which assures you that operating costs will never be a problem like the conventional hand dryers. Touch free operation reduces chance of users contacting with any surface thus prevents contamination. Collects the excess water removed from your hands, elimination water spillage in the surrounding area. The noise absorption technology within these hand dryers reduces the noise level below 70db. Highly developed electrical and temperature sensors for hands free automation. Spreads fragrance in the surrounding air providing a surge of freshness in the surrounding environment. Liquid Crystal Display(LCD) screen for instructions and manuals. Easy clean filters that allows in easy and regular maintenance. Stylish design with blue LEDs and operating lights. Makes it a beautiful decor piece for any kind of interior. 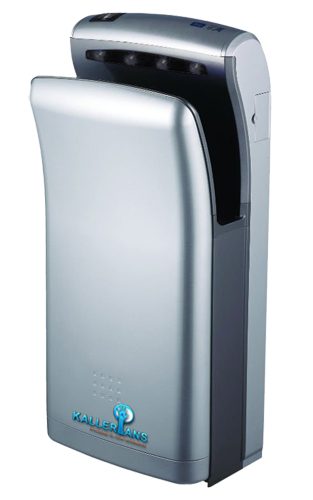 The most reliable eco friendly hand dryer saves energy and costs.